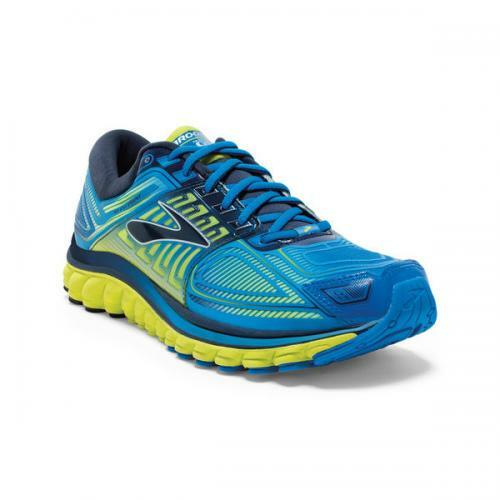 The men's Glycerin 13 neutral running shoe is the ultimate in super-soft cushioning, and comes equipped with everything you could ever want to glide through your run in supreme comfort. We've pushed the limits of our 3D Fit Print technology to create a newly enhanced, seamless upper for streamlined support. The dynamic saddle wraps the foot in secure comfort and the wraparound collar adds the finishing touch for ideal fit and plush comfort. Underfoot, the Super DNA midsole provides 25% more cushion than our regular DNA for the ultimate in soft rides. Ideal Pressure Zones in the outsole optimize disperse impact away from the body and the rounded heel helps keep your body in its Ideal alignment.